Dotun Makun is a painter from Ondo State, Nigeria, and is currently based in Lagos, Nigeria. 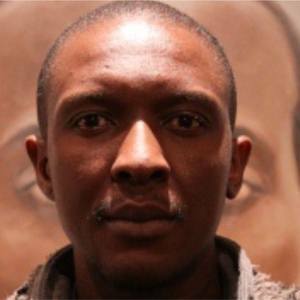 He graduated with a Master in Fine Art degree from Rhodes University in 2011 where he majored in painting and participated in the Visual and Performing Arts of Africa research group. His MFA exhibition, ALIEN-Nation (2011), considered themes of xenophobia, foreignness, alienation and stereotypes, and explored the complexities of the Nigerian diaspora. The process of working in a traditional studio portrait manner was integral to Makun’s work in this particular exhibition.